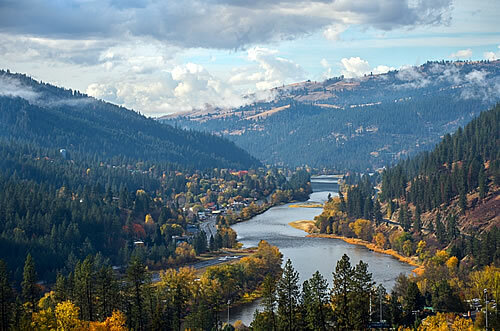 Orofino, Idaho is a rural community in northern Idaho located on the beautiful Clearwater River between Lewiston, Idaho and Missoula, Montana. 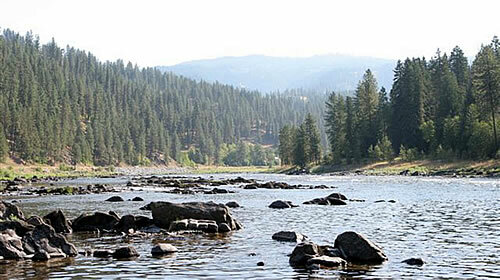 Outdoor recreational opportunities on the river and in the surrounding mountains abound. Although Orofino is a small, rural community, it is only forty five minutes from a population of 60,000 people in the Lewiston- Clarkston valley (at the Idaho/Washington state border), affording easy access to a commercial airport, colleges, diversified shopping and other urban attractions. 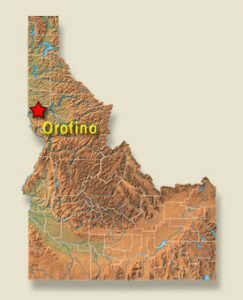 Orofino also is one and a half hours from the university towns of Moscow, Idaho (U of I) and Pullman, WA (WSU), with a combined population of 50,000. These institutions and communities offer additional higher educational opportunities and various other cultural attractions. To learn more about Orofino, visit: http://www.orofino.com. The area is heavily endowed with natural resources: evergreen forests, rivers and streams, a fifty-four mile reservoir, and a wide variety of fish and wildlife. This area’s economy historically has been timber industry based. Recently, the economy has diversified, but still remains focused on natural resources. Seventy percent of Clearwater county land is under national and state forest management. Of the thirty percent of private land, seventy-five percent belongs to private timber companies. State and federal entities based here include: two large fish hatcheries, the Corps of Engineers dam, the state park, state and federal forest service offices, a sixty bed state psychiatric treatment hospital, and a state correctional facility. As is the case in much of rural America, the hospital is one of the largest employers in the community. Several companies dealing in specialty product fabrication and manufacturing also are located in Orofino. Collectively, all of these entities provide a relatively stable employment base to the region. Dr. Katzman joined the Clearwater Valley Hospital and Clinics staff in 2015. She is currently seeing patients at the Orofino Health Center location and does rotations in the ER and Urgent Care. She completed medical school at Columbia University, New York City, NY and her FM Residency in Boise, ID. She completed her fellowship in High Risk Obstetric Care in Seattle. 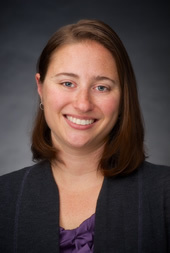 Dr. Katzman enjoys camping, hiking, running, reading and crossword puzzles. She is excited to work with the warm and caring staff at Clearwater Valley Hospital and Clinics provide excellent healthcare to this community. HOSPITAL ROUNDING – Students will spend time rounding with clinic physicians as much as desired. SURGERY OPPORTUNITIES – Please give a description of what types of surgery your local surgeon performs and what is referred out. PSYCHIATRY OPPORTUNITIES – There is a UW Required Psychiatry Clerkship with Dr. Thad Koontz in Orofino and students will also spend time with Dr. Koontz at the State Hospital. OB – Family Medicine physicians handle OB patients. Clinic is full-spectrum family medicine. Clearwater Valley Hospital and Clinics are comprised of a rural, twenty-three bed critical access hospital and three NCQA certified PCMH affiliated clinics. Our physicians practice fullspectrum, rural family medicine including outpatient care, emergency medicine, inpatient hospital medicine, obstetrics, surgery and population health / community medicine. Our system has been consistently recognized as an innovative leader in rural healthcare with two national awards and four state awards for quality and innovation in the past five years. All of the physicians in the community are employed by the hospital and strongly support and contribute to medical student and resident education in our facilities. The service area population for Clearwater Valley Hospital and Clinics is 15,000. Most of this population lives outside of the towns. Students will participate in nursing home rounds, care at an assisted living facility and will also likely make some occasional house calls with the attending physician. It is also anticipated that the student will engage in ongoing efforts in population and community health. Previously, these have included developing a community garden, performing community blood pressure screenings and general health education. 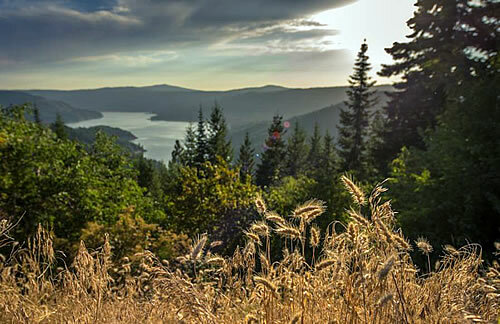 Orofino is an outdoors lover’s paradise! Favorite seasonal sports include boating, waterskiing, white-water rafting, kayaking, hiking, mountain biking, and skiing, as well as world-class hunting and fishing. Water-based recreation is readily accessible on the beautiful Clearwater River running through town, as well as at the Dworshak Reservoir which is fifty-four miles long. A small community-managed ski area is about thirty minutes from town. Backcountry skiing and ski touring is accessible in this large outdoor area. Clearwater valley’s low elevation (1,100 ft.) gives a moderate four season climate. Average yearly precipitation for the county is twenty-six inches. In winter, snow typically does not remain at the lower elevations (in town) but can be found and enjoyed at the higher elevations around Orofino.